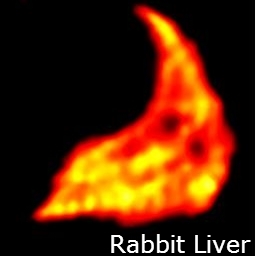 Traditionally SPECT imaging of medium-sized animals (MSA) such as rabbits has been hampered by poor resolution. UMC Utrecht, TU Delft and MILabs jointly developed a dedicated 1.9 mm resolution MSA SPECT option for U-SPECT+ and VECTor+ systems. 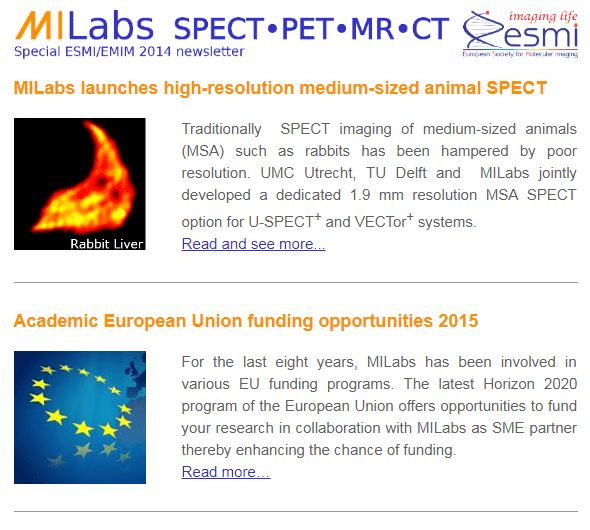 For the last eight years, MILabs has been involved in various EU funding programs. 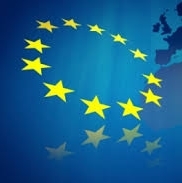 The latest Horizon 2020 program of the European Union offers opportunities to fund your research in collaboration with MILabs as SME partner thereby enhancing the chance of funding.